What's The Smallest Crewed Aircraft? Unmanned aerial vehicles, or drones, are all the rage these days. You can make one the size of a bug, and it’ll still fly around. That’s impressive, I suppose, but it’s not nearly as impressive as getting a real tiny plane to fly with a person still inside. With a person inside, you’ve got all sorts of additional challenges. There’s the weight, first and foremost, but you’re also going to need a cockpit and all that entails. A canopy, controls, life support systems, switches and gauges and everything else all add up to huge obstacles, and more interesting ones than the biggest airplanes. I mean, in a big airplane, you really just need to scale everything up. The only limit is the size of the airport. But in a small airplane? You somehow need to fit everything necessary into a really tiny package. Up top is the Bede BD5-J, the smallest manned jet plane ever to fly, and designed in part by aviation great Burt Rutan. 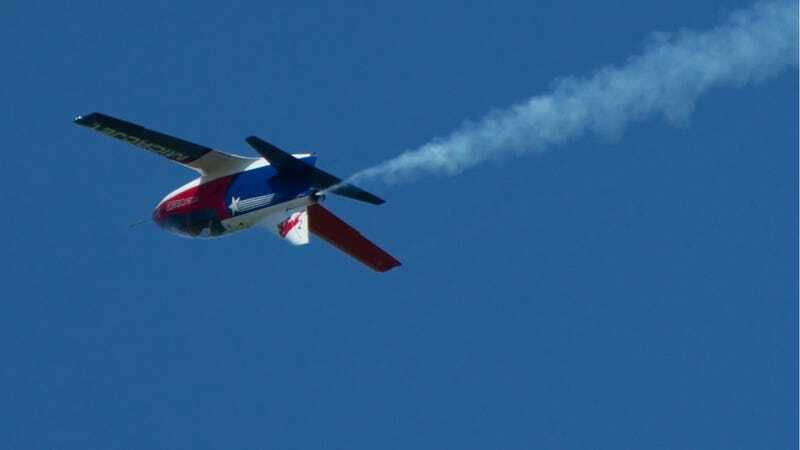 You could soar through the air at 300 miles per hour, and it’s little tiny wings enabled fantastic aerobatic feats. But is it the smallest crewed plane ever to fly in history? Drop your nominees in the comments below!